On the fourth floor you’ll find: special exhibits in the Slawson Gallery and the core exhibit “Spirit of Wichita” exhibit which continues the time line forward from 1912 to 1939. This period saw great change through new technologies including electricity, the automobile and aviation. 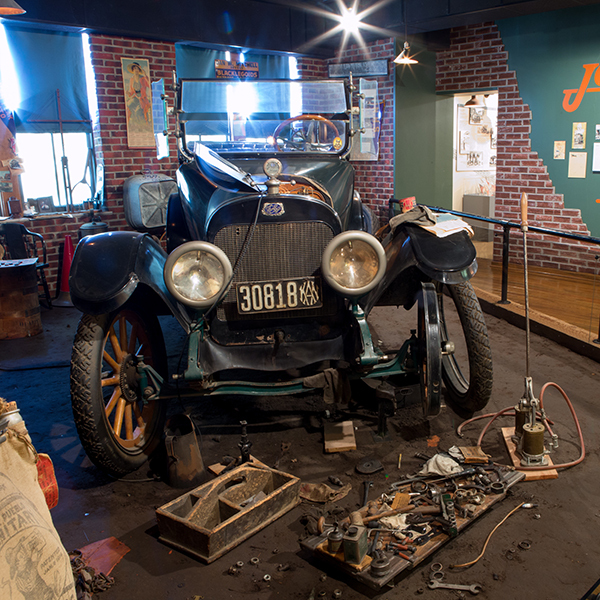 The “Spirit of Wichita” concludes with the Wichita built “Jones Six” automobile’s immersive exhibit.